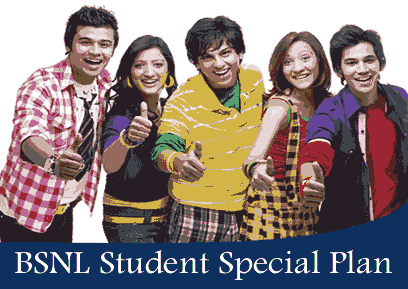 BSNL has launched a student exclusive plan this year on promotional basis under prepaid mobile services. Under BSNL student special plan, there is a pack of Rs. 118 that will give the user 1GB data for 30 days along with a special benefit of Rs. 10 per talk time. There will be reduction in call rates and SMS as well. The release from BSNL does not specify the reduced rates. The plan will be available from 20th June 2016 for a promotional period of 90 days. The pack will be available all over India. The main Reason for the Staring of this Amazing plan is to Provide the Internet data to Student on Minimum rate and for maximum Time period. If you want To know how to activate or Subscribe this on Your Prepaid mobile number then just Follow below steps. • Once the Mobile recharge has been Done than you can Enjoy the Complete benefit From this offer. Note:-The mobile tariff that You get will be valid on Next 90 days after the activation of BSNL Student smart sim card . Its valid in all Over india where Currently their network and Service is available. - Special Benefit : Free Top Up of Rs.10 along with New SIM Card having Full Talk Value!